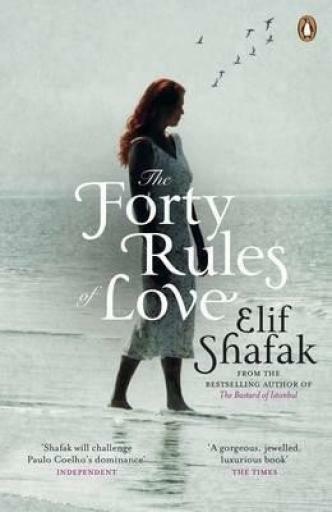 Elif Shafak’s compelling novel, The Forty Rules of Love, follows Ella Rubinstein on a journey of self-discovery as she examines her life and the concept of love through Sufi mysticism. Discover the forty rules of love. . . Ella Rubinstein has a husband, three teenage children, and a pleasant home. Everything that should make her confident and fulfilled. Yet there is an emptiness at the heart of Ella’s life – an emptiness once filled by love. So when Ella reads a manuscript about the thirteenth-century Sufi poet Rumi and Shams of Tabriz, and his forty rules of life and love, her world is turned upside down. She embarks on a journey to meet the mysterious author of this work. It is a quest infused with Sufi mysticism and verse, taking Ella and us into an exotic world where faith and love are heartbreakingly explored. . .